Whether you get hit while you're in the middle of a workout, conducting a meeting at work or trying to catch a few z's, leg cramps are never pleasant. The excruciating pain of muscles spasming can bring you to tears. 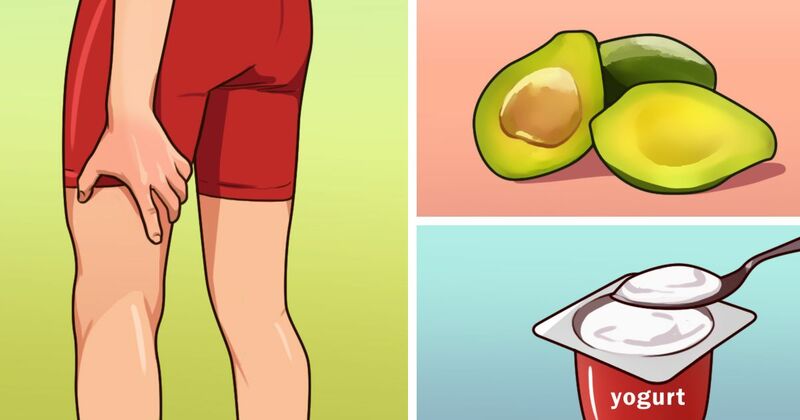 What can you do when leg cramps hit? Is there anything you can do to prevent them? The good news is that most leg cramps can be taken care of with a little TLC. Check out the 8 things you can do if you suffer from leg cramps. 1. Stretch and massage the muscle. When a leg cramp occurs, the Mayo Clinic recommends gently rubbing the cramping muscles. If you can, stretch the toes of foot connected to the cramping leg upwards towards your shoulders. Stretch out the calf and leg muscles too. 2. Get up and move. everyday Health states that sometimes the best treatment for leg cramps is taking preventive measures. Sitting for long periods of time can cause muscles to cramp, so if your job requires you to sit for long periods of time, make an effort to get up and move around. When a cramp hits, getting up and walking it out is good, too. 3. Apply ice or heat. Dr. Axe says to apply heat to a cramping muscle. The heat will help it relax. After that, if the muscle swells, apply a little ice to take down the inflammation. 4. Drink lots of water. WebMD points out that a lot of muscle cramps are caused by dehydration. During hot weather or exercise, make sure to drink plenty of fluids, especially water. 5. Take vitamin B complex. The Mayo Clinic shares that taking vitamin B complex may help prevent leg cramps. More study is necessary to confirm this, though. 6. Drink alcohol in moderation. Because alcohol is a diuretic, everyday Health reminds you that if you suffer from leg cramps, drinking in moderation is in order. Too much alcohol will just make the cramps worse. 7. Eat potassium-rich foods. The medical world is divided as to whether potassium affects leg cramps or not. If it does, then bananas, avocados, tomatoes, and dried fruit are great sources of this mineral according to Health Care A to Z. 8. Eat magnesium-rich foods. Magnesium does appear to have a definite effect on leg cramps. If you suffer from cramps regularly, Health Care A to Z recommends eating foods that are high in magnesium: dark green, leafy vegetables; nuts; pumpkin seeds and seafood. You can start each day with a green smoothie. 100 Days of Real Food combines 2 cups of leafy greens with 2 cups of liquid and 3 cups of fruit. You can use water, coconut water, coconut milk or almond milk for the liquid. Blend the liquid and green leafy vegetable together first and then add the fruit. Say goodbye to those nasty leg cramps. By increasing certain minerals and your water intake, you should be able to rid yourself of leg cramps for good.